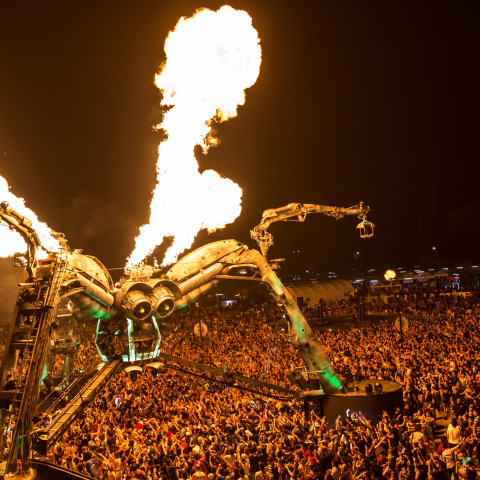 Arcadia: What’s next for the most exciting attraction on the festival circuit? 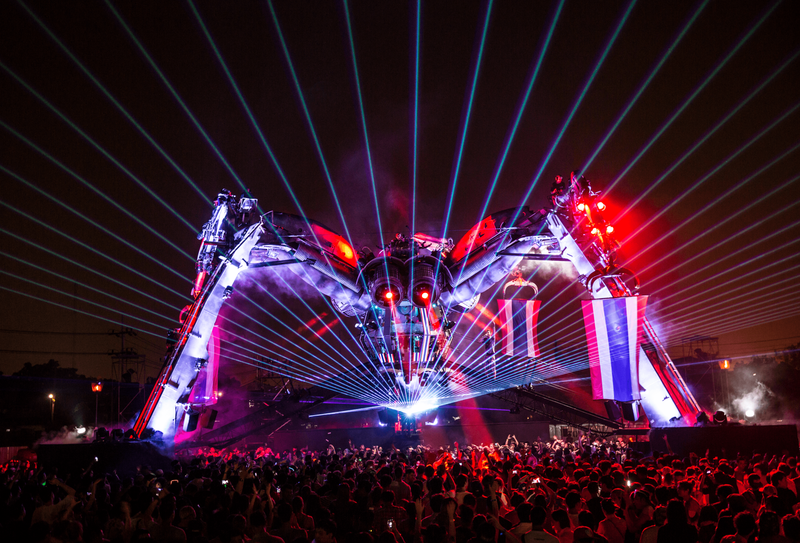 Arcadia boss Pip Rush tells Loaded how he plans to take The Spider to the next level in 2016. Twenty-foot flames erupt into the sky as electrical flashes pulsate from the gnarled metal structure up ahead whilst the thudding sound emanating from it verges on deafening. A sea of thousands of pairs of eyes, which look as though they haven’t managed proper sleep for days, all gaze up to the sky as cranes tilt back and forth, swinging dark objects in the night sky. Suddenly, a giant spider lurches from above and grabs someone only a meter away. There’s a short struggle, but cocooned they swiftly disappear into the chaos above, leaving only the sound of their desperate cry. There’s another eruption of flames, this time close enough to burn the cheeks of anyone daring enough to stray close to the madness, and a roar of disbelief spreads across the crowd. This isn’t the set of a Ridley Scott film. It isn’t even an imagination of a dark dystopia at the world’s end. It’s Glastonbury last June in its infamous Arcadia area. The sound is rave-era icons Altern 8, and their classic, Activ 8. 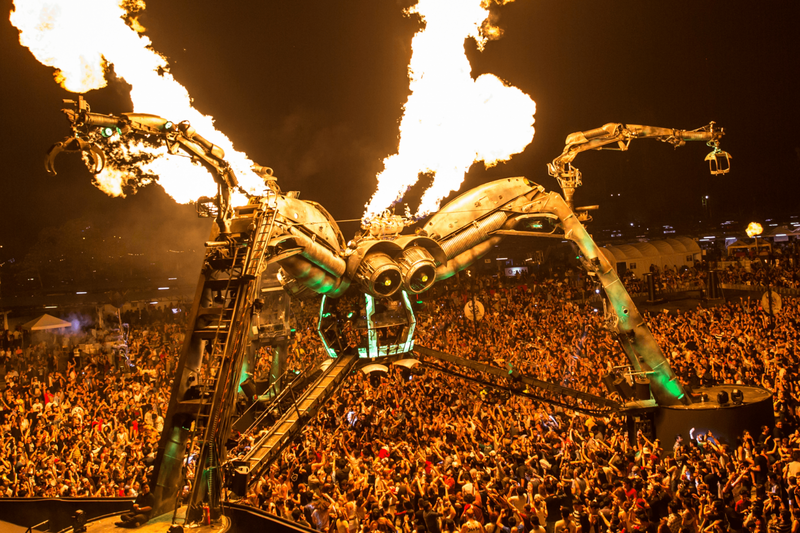 Regarded by many as the most exciting outfit on the festival circuit right now, Arcadia has seen the likes of Orbital, Fatboy Slim and Disclosure on deck as well as bright lights in underground dance music like the Swamp 81 crew, to soundtrack its spectacular live show. 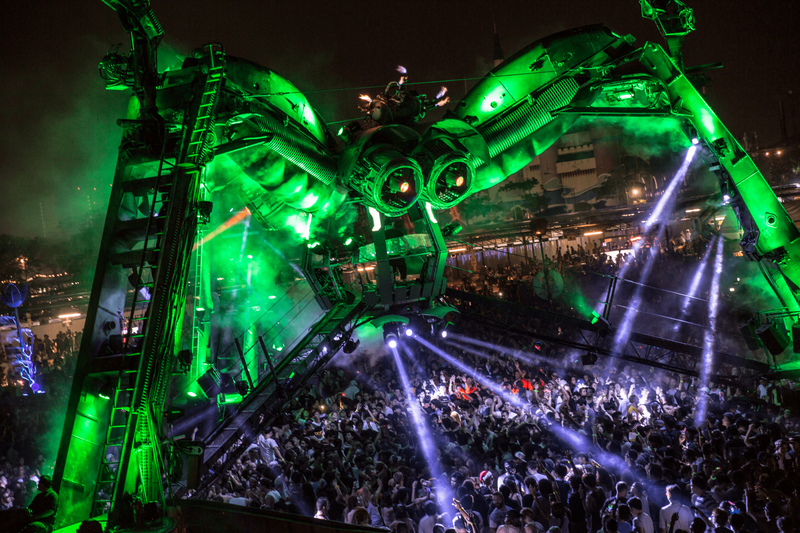 Arcadia has carved itself a niche in the festival circuit as something that, once experienced, is never forgotten. 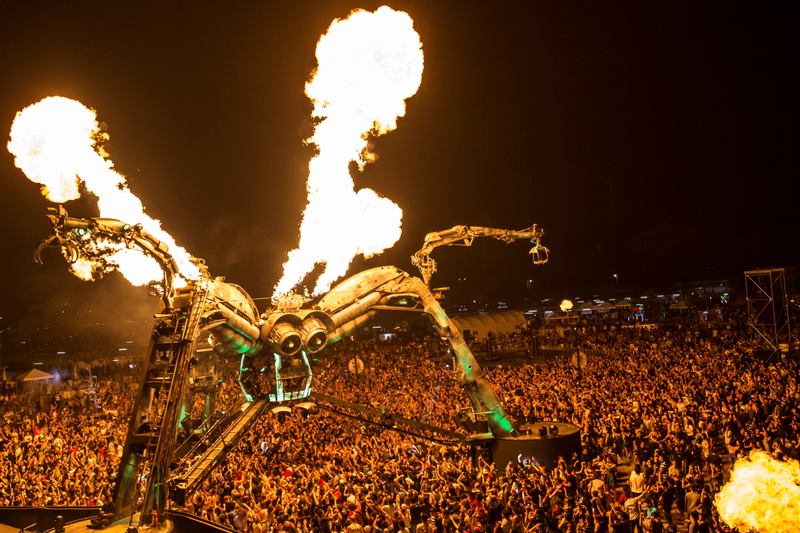 The giant fire-breathing spider, which you’ve probably seen plastered over social media during festival season for the last few years, is a full-on 360-degree attack on the senses. It’s the brainchild of Pip Rush, who started the project at Glastonbury with Bert Cole in 2007. Rush grew up around Britain’s free-party scene during the eighties with his brother Joe Rush. Joe is the man behind Mutoid Waste Company, who took Car Henge to Glastonbury in the 80s and are now behind the festival’s equally batshit Trash City area. “Joe was having a pretty lawless time doing shows in big warehouses in London that my parents would take me to,” Rush explains. “So I definitely grew up around the madness. Pip worked with his brother on Mutoid Waste Company from being a teenager before breaking away in 2007 to collaborate with Cole. 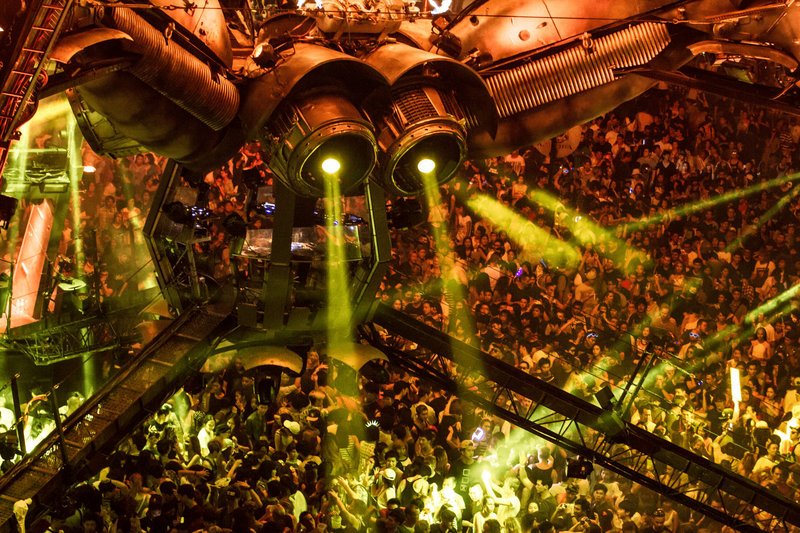 The first Arcadia stage was built for what was intended to be a 500-capacity after-hours chill-out area. That’s an understatement. 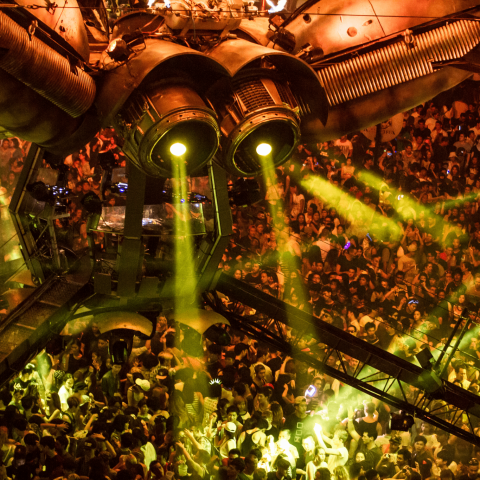 After starting their own festival in Bristol last September, 2016 sees Arcadia travel to Gravity festival in Bangkok on January 23, then onto Miami’s Ultra Music Festival in March, before landing back in the UK for Love Saves The Day in Bristol on May 28-29. That’s all before returning to Glastonbury in June. 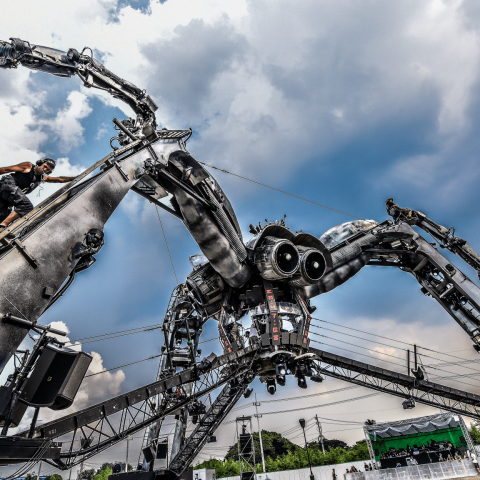 For The Spider, which is built from parts of helicopters, jet engines and a myriad of other technology that’s found its way onto scrapyards across the world, it’s going to be a busy year. 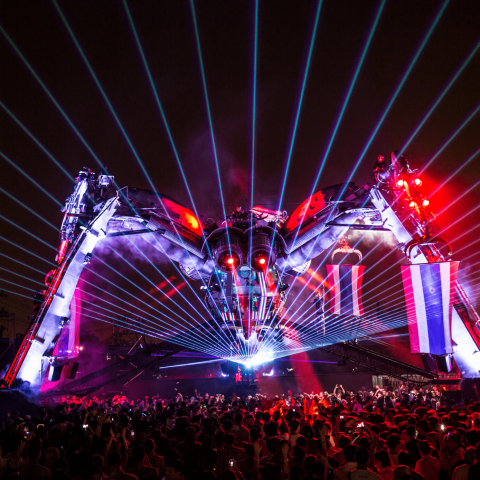 “We didn’t set out to build a spider at all originally,” explains Rush. “The brief was just to create an environment that people could really let loose in. “Bert and I felt the visual side of a lot of festivals was really lacking. You’d have incredible musicians making these incredible sounds, yet they’d be surrounded by fencing and security. It didn’t feel like there was much love or creativity put into all the other senses that are really heightened when you’re having a festival experience. 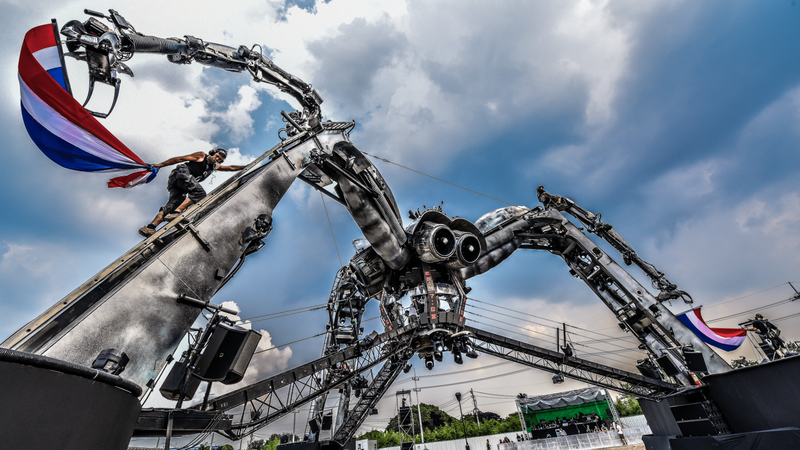 The Spider was packed onto four shipping containers in November to make its way to Bangkok for Gravity. 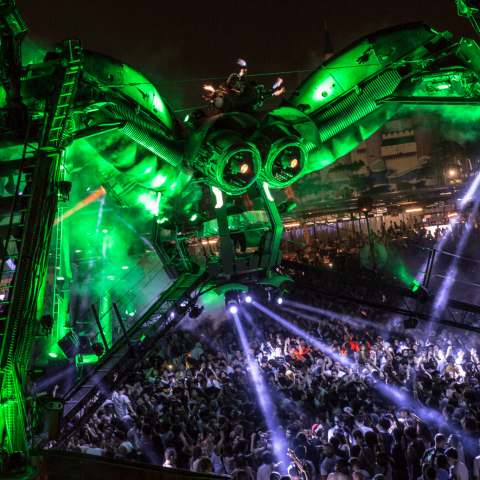 The fact that The Spider was floating down the Suez Canal when Rush spoke to Loaded will be a point of concern for many long-term Arcadia fans, whose Glastonbury experience wouldn’t quite be the same without it. “I suppose it’s a concern,” Rush continues. “As we definitely couldn’t build another one. We’d never find the parts. Their website states that the show is anchored in themes of transformation. And this certainly rings true, with The Spider and its Metamorphosis live show getting steadily more insane every year. Rush says that this year will be a move along from last year’s show rather than a new performance entirely, but that many secret plans are on the boil for Glastonbury to make sure anyone returning won’t be disappointed. “Glastonbury will always be an evolution,” he explains. “We’re cooking up some really big ideas right now, exploring lots of different scrap yards and seeing what the reality of pushing what we do a step further again is. “At the moment we want to integrate what we do with as many different cultures as possible. I spoke to an aboriginal Australian recently who was telling me about their ancestors and the dances and gatherings they would have around big fires with mythological spiders. For more information on Arcadia, see their website.